Signed, lined (with a quote from the book in Chinese and English) and dated by the author to the title page. 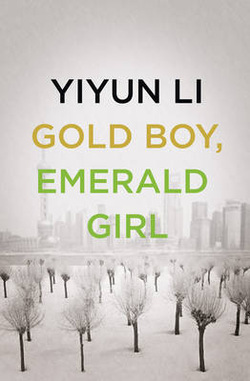 Synopsis : The second collection of stories from Yiyun Li, author of the Guardian First Book Award-winning A Thousand Years of Good Prayers and The Vagrants. The stories in this collection, like the stories in A Thousand Years of Good Prayers, are mostly set in China. The country portrayed here is the China of the 21st century, where economic development has led to new situations unknown to previous decades: residents in a shabby apartment building witnessing in awe the real estate boom; a local entrepreneur-turned-philanthropist sheltering women in trouble in her mansion; a group of retired women discovering fame late in their lives as private investigators specializing in extramarital affairs; a young woman setting up a blog to publicize an alleged affair of her father. Underneath the veneer of prosperity and opportunity, however, lie the struggles of c! haracters trying to reorient themselves in the unfamiliar landscapes of modern China: a widower, reminiscing about his wife, confronts a young unmarried woman purchasing condoms in a pharmacy; a new wife makes a plea to have a baby with her husband who was to be executed only to discover that she has become an instant celebrity; a middle-aged couple in America, who, upon losing their only daughter, return to their hometown in China to hire a young woman as a surrogate mother. These characters' fates are affected as much by the historical moments in which they reside as by the choices they make. Yiyun Li's new collection of stories is a report from the frontline of a changing world, and confirms Li to be an unmissable writer.